As early childhood educators, one of our most important roles is to guide young children as they learn to express and respond to emotions. Whether they’re feeling frustration, anger, anticipation or joy, we are at the ready to help them through powerful emotional experiences. Mindfulness—the practice of paying attention to your feelings and how your mind and body experience them in the present moment—can be a valuable tool to help children (and adults!) process feelings. Being in nature offers many opportunities to practice mindful approaches. Nature-based programs are keenly attuned to the positive effects of outdoor learning such as improved physical strength, rich language development, direct experiences with science content, and opportunities for constructing and problem-solving with natural materials. But just as profound is children’s emotional development. Children develop self-awareness and a sense of belonging by playing and learning outdoors. As children explore and observe nature, they become more aware of, and empathetic to, the plants and animals who share the natural world. This larger awareness shifts focus from an “I” mentality to a broader understanding of “we”as it relates to sharing the land and resources found there. By becoming more aware of our relationship with other living things as part of a community, children are more likely to reign in their impulses. For example, when children understand that monarch caterpillars rely on milkweed for food, they are less likely to pick the flowers, opting to show consideration for the caterpillar’s needs instead. Similarly, when children spend time observing spider webs, they are more likely to control their movement through bushes or grass so as not to disrupt another creature’s home. When children repeatedly consider the needs of others (plants, animals, or other people), they form a mindful, loving mindset that respects all members of the learning community - no matter how helpless or small. Children develop this attitude of empathy through unstructured outdoor play, especially when educators set a mindful tone. Empathy reveals a powerful path for children to develop respect for the diversity and complexities within our communities. A key aspect of nature preschools and forest kindergarten programming is being receptive to emergent experiences, which necessitates letting go of highly structured, teacher-directed lessons. Instead, nature-based educators strive to be fully present during outdoor exploration and open to learning as it unfolds each season. 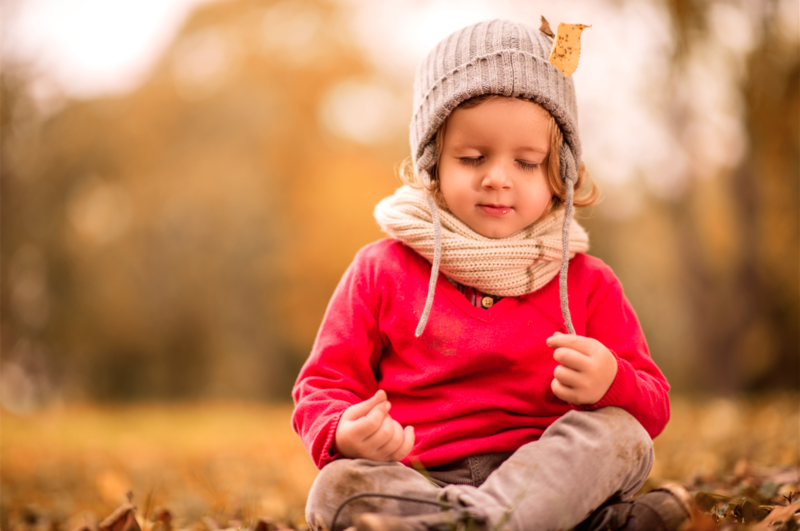 Combining meditative techniques with concepts of outdoor nature play helps form mindful attitudes. By making habits like these a routine, children become more aware of physical sensations, notice how their bodies respond to emotions, and develop greater compassion towards others. Try these nature-based mindful activities indoors or outdoors with your tots! Note: These are imaginary scenarios! A responsible grownup should always be near when children play near water, fire, or other potential hazards. Invite children to sit with eyes closed. Encourage them to inhale slowly, imagining warm air filling their lungs like a soft breeze. Then tell children to exhale slowly, as if they are releasing a spark into the air. With each inhalation, children slowly breathe in warm air, and with each exhalation they transform the tiny spark into a fire. In a gentle voice, ask children to picture the glowing fire in their minds. After several breathing cycles, change the image. Now ask children to slowly breathe in cool air and exhale a cloud hovering over the fire. With another exhalation, imagine rain slowly falling from the cloud to extinguish the fire. Add a “sss” sound to the breath to hear the sizzle of the fire burning out. 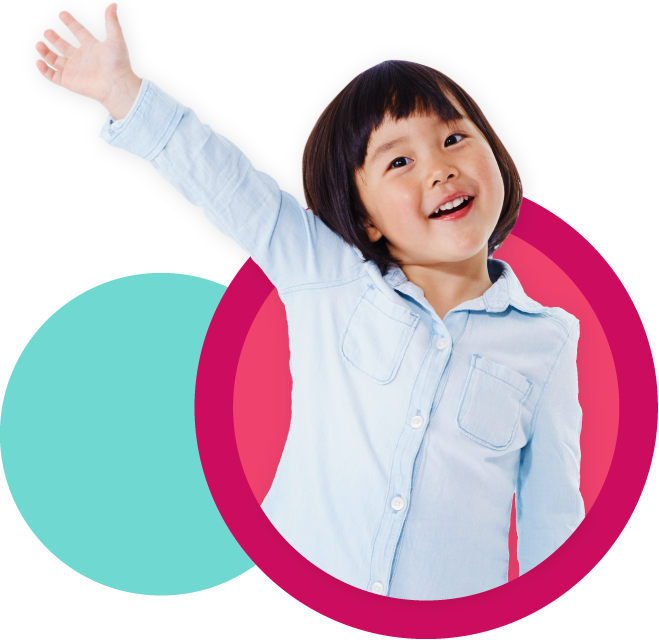 A ‘body scan’ helps children visualize the gradual movement of sensations throughout the body, zeroing in on physical sensations as they move from toes to head. In this body scan, children take an imaginary walk to a river. Have children lie down on their backs in a comfortable place with eyes closed. Ask them to breathe slowly and imagine that they have turned into an aquatic creature like a beaver or a frog. Guide children through an adventure in the water (what plants or other kinds of animals might they encounter? Where might the current take them? ), bringing attention to the sensation of water on their toes, feet, legs, belly, chest, shoulders, arms, hands, fingers, and cheeks as you do. Ask them to think about the temperature of the water and the way it might feel to swim as this kind of animal. When the exercise is done, slowly direct children back to shore with a few centering breaths before they open their eyes. Then, invite children to share details of what they imagined on their journey. Combine slow, intentional breathing with yoga poses adapted for children. The cobra, down dog, tree, and child poses are perfect to introduce strengthening and breathing. Help the children visualize each plant or animal as they do the pose and breathe. For an overview of some of the benefits of mindfulness practices for children, read Greater Happiness in 5 Minutes a Day, by Christine Carter for The Greater Good. Learn how mindfulness programs are used in K-12 education in the United States in Contemplation and Education: A Survey of Programs Using Contemplative Techniques in K-12 Educational Settings: A Mapping Report, from the Garrison Institute. Monica Wiedel-Lubinski is the founding director of the nature preschool at Irvine Nature Center and a co-founder of Wild Haven Forest Preschool in Baltimore, MD. She is also the executive director of the Eastern Region Association of Forest and Nature Schools (ERAFANS.org), a nonprofit that provides nature-based professional development opportunities to help educators harness the benefits of outdoor learning and nature connection for children. Contact her at director@erafans.org.